Talk to Her, perhaps the most acclaimed movie by Spanish director Pedro Almodóvar, poses a fascinating riddle to the viewer: in a dreamlike world, men are in love with comatose women. Why? What is the meaning that lies behind this enigmatic film? Explore the hidden meanings in Almodóvar’s work as never shown before! By examining the many symbols that appear in the film Talk to Her, this book supplies an astonishing interpretation for a breathtaking masterpiece and opens the way to a whole new understanding of Almodóvar’s genius. 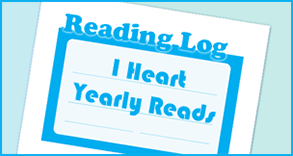 So, let me start by saying that I don’t usually read books about movies, especially movies I hadn’t heard of before. 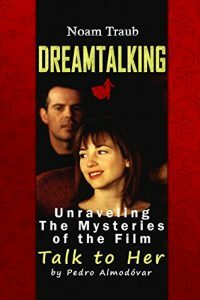 The movie “Talk To Her” was new to me, but prior to reading Dreamtalking, I had to watch the movie, and I found it oddly intriguing. After watching, I was excited to start reading this book, and to discover the mysteries behind the movie. Talk To Her is a movie filled with mysterious messages. From the lights used to the clothes the characters wear, all of it is chosen for a reason – kind of like a writer does while storytelling. The parallels between writing a book and directing a movie are plentiful and for writers in particular, this is an interesting book to read. If you haven’t seen the movie yet, I strongly suggest you watch it before reading the book. If you enjoy movies and have always wondered why directors make certain choices while producing their movies, this book will provide some insightful answers and is definitely worth reading.